POLICE have arrested in a manhunt operation one of the most wanted persons in the province of Zamboanga del Sur. 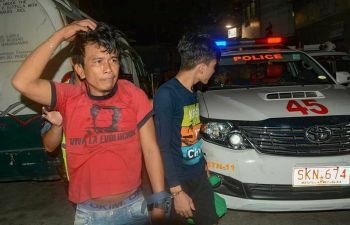 Ronel Babia, 24, was arrested around 5:15 p.m. Wednesday, March 20, at Integrated Bus Terminal in the village of Divisoria, according to Police Major Helen Galvez, Police Regional Office Zamboanga Peninsula information officer. Galvez said Babia is listed as the number one most wanted person in Molave, Zamboanga del Sur.